Help create a stronger future for VA nursing. Support quality health care for America’s heroes. Support educating, communicating with and advocating for Department of Veterans Affairs Nurses professionally, personally and legislatively. Support efforts in shaping, influencing, and advancing the profession of VA nursing. Gain maximum exposure with nurses on the frontlines of VA patient care. NOVA members serve as content experts, educators and advisors to ensure Veterans receive high quality care. 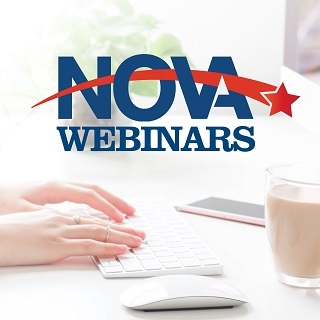 With a membership of nearly 3,000 VA nurses, dedicated to the care of our nation’s heroes, what better opportunity to get your company’s products and services in front of this important audience. You will reach VA nurses spanning all clinical specialties and areas of nursing from across the country, representing top-level nurse executives, advanced practice nurses, nurse practitioners, clinical nurse specialists, nurse researchers and staff nurses.